Roasting meat and vegetables is one of the best kitchen skills to acquire. The ability to cook with an oven is a valuable skill, that once mastered, allows you the cook to roast almost anything without a recipe. 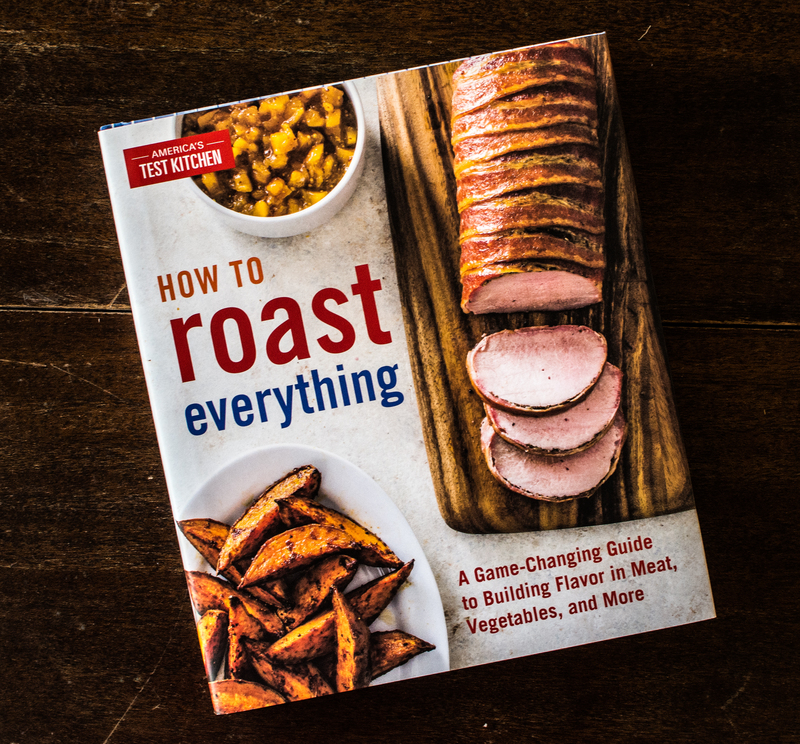 America’s Test Kitchen’s cookbook How to Roast Everything is the perfect tutorial for achieving this skill. Regardless of where you are in your cooking journey How to Roast Everything will help on many levels. If you are a new cook it will introduce to you the skills needed to roast well. Whereas for the seasoned cook, it will hone and develop this cooking technique with its signature Test Kitchen creativity and preciseness. I was excited when I picked up this book because roasting is central to A Pleasant Little Kitchen. Whether it’s vegetables, meat or sometimes fruit, roasting is a weekly ritual during every season. I am always ready to improve my kitchen skills and I knew How to Roast Everything would help me do this. I’ve cooked through a handful of recipes from this fantastic book and each one has been a complete success that has taught me how to roast smarter. These recipes are approachable with very specific directions for achieving the perfect outcome…which is everything I have come to expect from ATK. 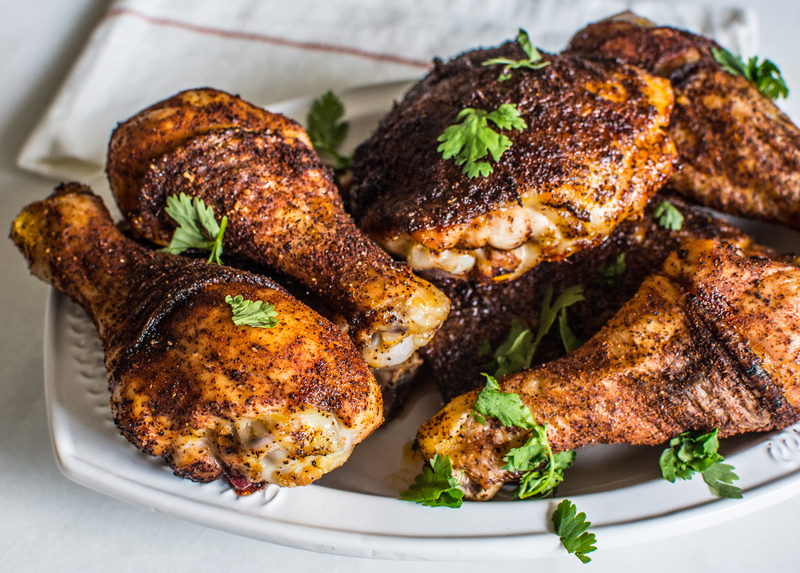 The roasted spice-rubbed chicken was a stand-out among the recipes I made. 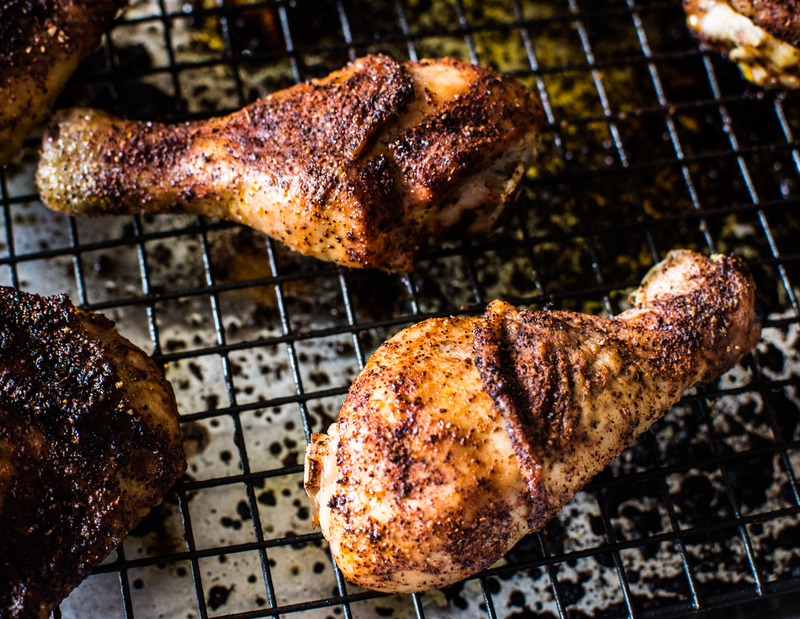 First off, I’m a sucker for roasted chicken thighs and drumsticks. They are one of the perfect forms of comfort food, and something I cook frequently. 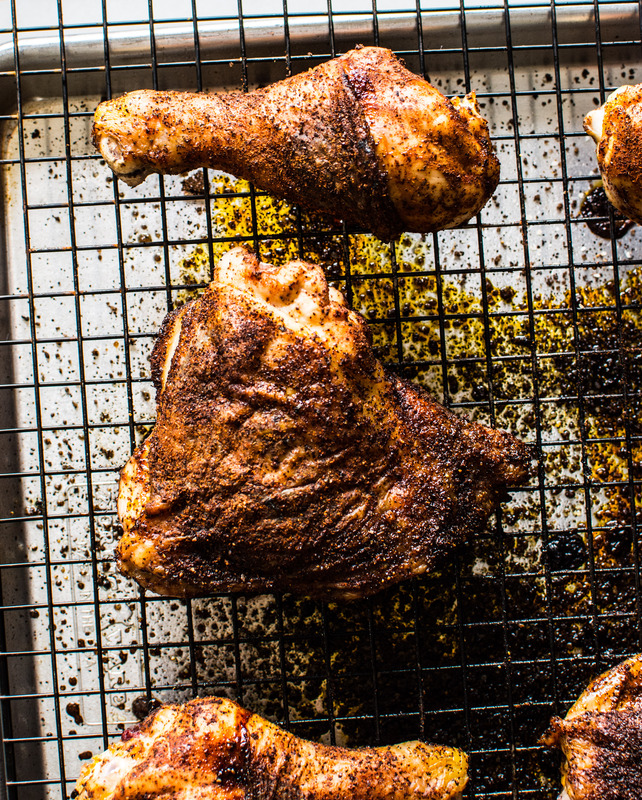 This recipe in particular contained a few techniques that elevated the roasting game. These suggestions will change the way I roast chicken. America’s Test Kitchen finds the best method to cook a specific meal while using an approachable technique. Recipes from ATK are always worthwhile, valuable and educational, which says a lot about the dedicated and very skilled cooks who develop the recipes in the Test Kitchen. the very detailed information pertaining to the different types of meats, such as particular cuts to purchase, how to butcher at home and brining techniques. the optional flavorings and ingredients listed with several roasted vegetable recipes. the additional instructions on particular recipes to help the cook walk-thru a tricky task, like butterflying a lobster tail (page 228 Roasted Stuffed Lobster Tails). How to Roast Everything is a kitchen staple, just like roasting. 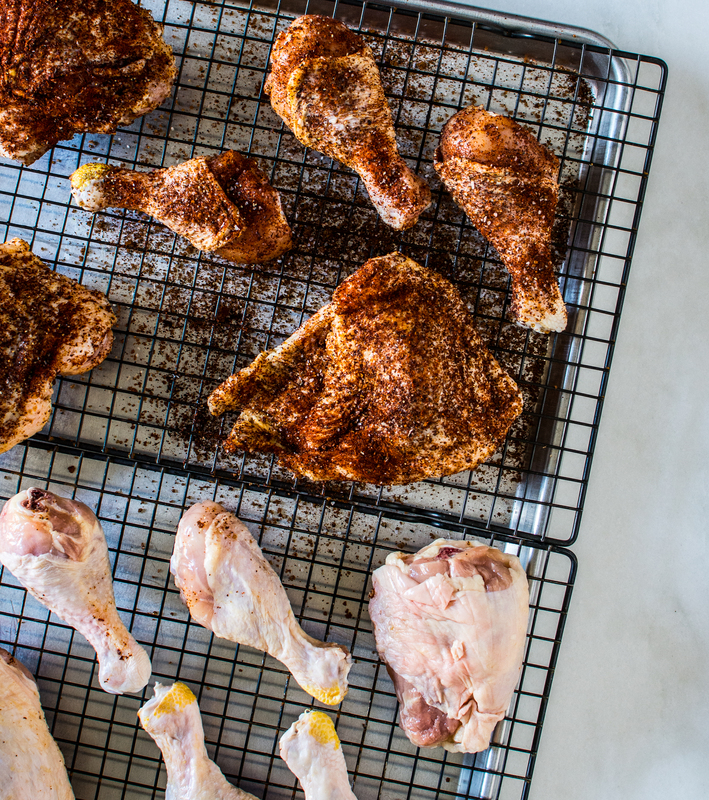 Learn from the best and develop your roasting ability with America’s Test Kitchen by your side. I promise you will grow as a cook and get especially hungry for dinner. Author note: This recipe is from America’s Test Kitchen’s How to Roast Everything. 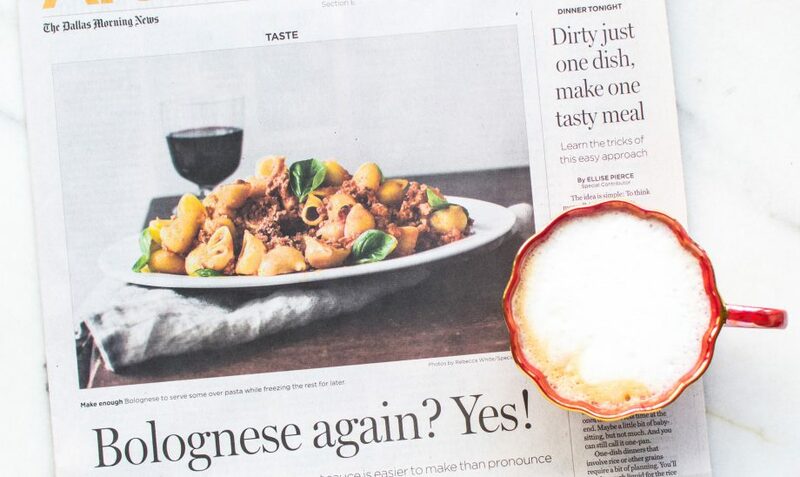 The recipe can be found on page 64-65. 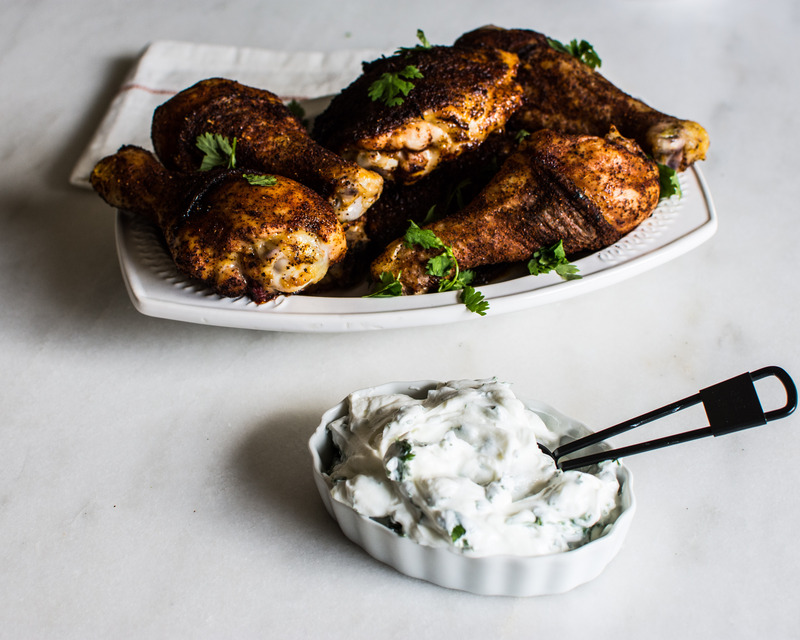 I also served this chicken with the raita recipe from page 66. The coolness of the yogurt paired beautifully with the spicy chicken. Set wire rack in rimmed baking sheet. Combine sugar, chili powder, paprika, salt, pepper and cayenne in a bowl. Using sharp knife, make 2 or 3 short slashes into skin of each piece of chicken, taking care not to cut into meat. Coat chicken with spice mixture, gently lifting skin to distribute spice mixture underneath but leaving it attached to chicken. Transfer chicken, skin side up to prepared rack (if desired, secure chicken of each breast piece with 2 or 3 toothpicks placed near edges of skin). Tent chicken with aluminum foil and refrigerate for at least 6 hours or up to 24 hours. Adjust oven rack to middle position and heat oven to 425 degrees. Remove foil and roast chicken until smaller piece registers 140 degrees, 15 to 20 minutes. Increase oven temperature to 500 degrees and continue roasting until chicken is browned and crisp and breast pieces register 160 degrees, 5 to 8 minutes. (Smaller pieces may cook faster than larger pieces. Remove pieces from oven as they reach correct temperature.) 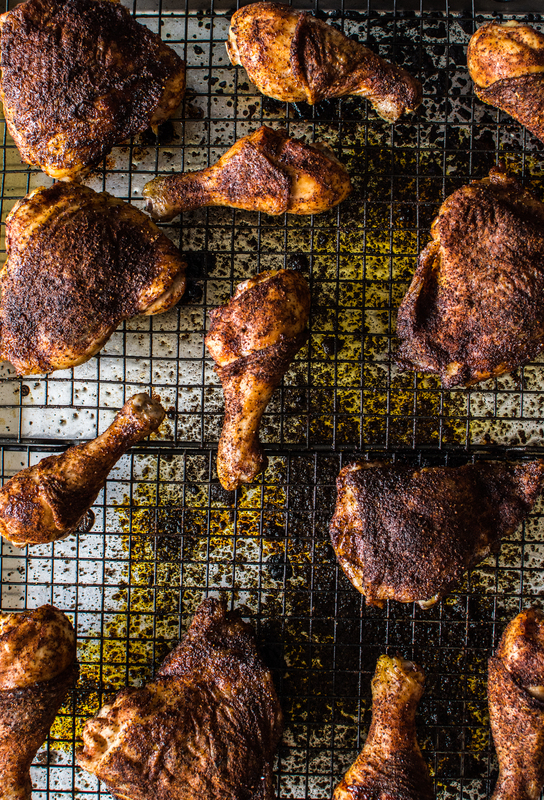 Continue to roast thighs and/or drumsticks until they register 175 degrees, about 5 minutes. Transfer chicken to wire rack and let cool completely before refrigerating or serving. 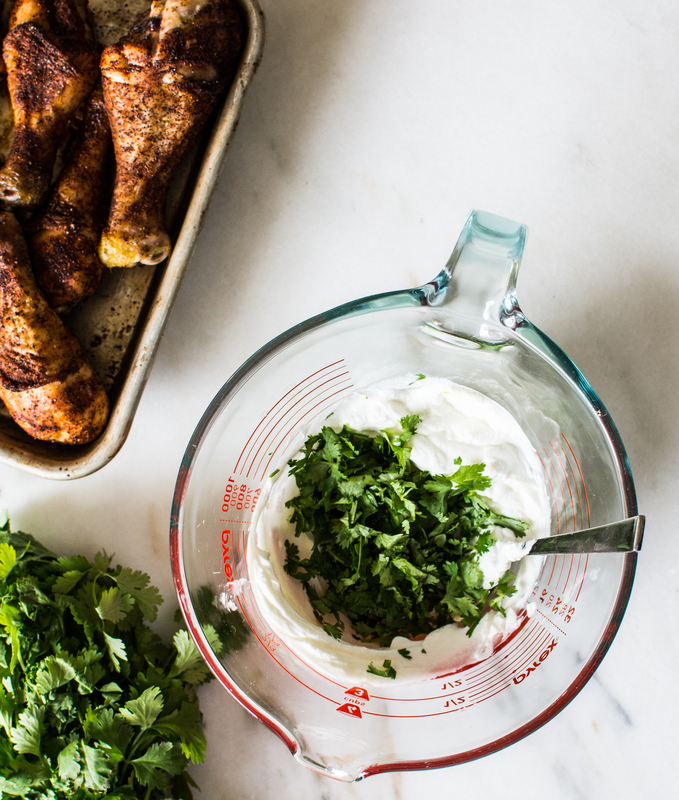 Combine yogurt, cilantro and garlic in bowl and season with salt and cayenne to taste. Refrigerate until ready to serve. Raita can be refrigerated for up to 24 hours. This entry was tagged A pleasant little review, A Pleasant Little Review How to Roast Everything, America's Test Kitchen How to Roast Everything, dallas food blog, dallas food blogger, How to Roast Everything, Roasted Spice Rubbed Chicken America's Test Kitchen, Roasted Spice Rubbed chicken recipe, texas food blog, texas food blogger. Bookmark the permalink.